The Global Education Program (GEP) provides senior school students (aged 15-18) from around Australia and the world who are identified as future leaders with the opportunity to engage with issues of injustice and effectively contribute to their communities. 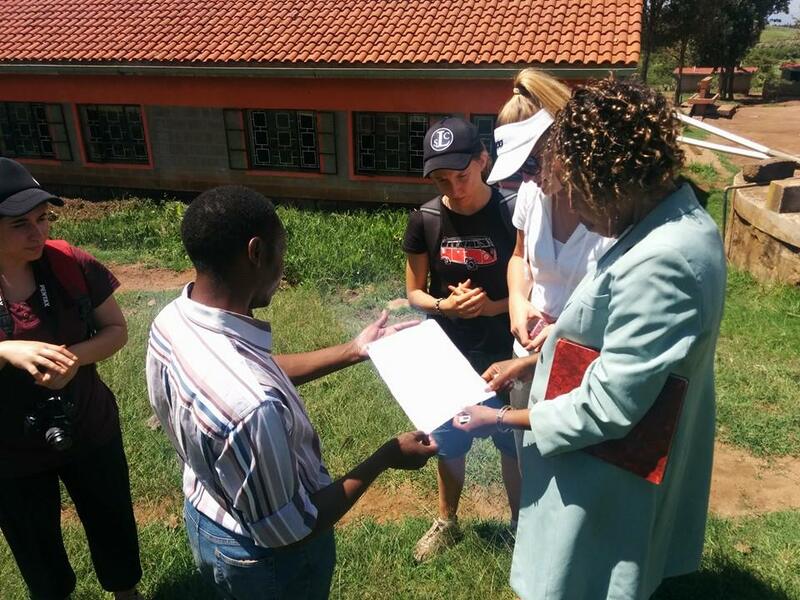 Each year we host a residency in Kenya with selected students where they experience development work firsthand alongside local leaders in a variety of settings including schools, health clinics, athletic centres, the United Nations, Australian High Commission and local communities. The program also includes training, cultural awareness, effective service opportunities and ongoing mentoring both within Australia and overseas. Engage with issues of injustice, especially poverty, both in country of origin and overseas. Develop leadership skills and cross cultural understanding. Form meaningful relationships with peers and like-minded individuals, groups and organisations from around the world. Reflect on a range of responses to the challenges facing our global community. For parents, students, educators and community leaders. – Ages 15-18 at time of application. – Applicants should be able to prove they have a heart for others, especially the marginalised. – Applicant should be able to demonstrate prior service and community involvement. – Applicants should be able to provide evidence of leadership. – Applicants should be able to state what they hope to do to impact their community by addressing an issue of injustice. Australian students – $4,500 AUD. Cost includes program orientation and preparation, training, overseas residency – flights, accommodation, food, transfers/transport, insurance and all activities. International students – $2,500 AUD. Please note international students are responsible for arranging flights and insurance for the residency in Kenya. All on ground expenses during the residency are included in the program cost. The encouragement of leadership, a focus on social justice and the investment in the students as impacting global citizens exceeds the trip itself! we feel fortunate to have our alumni a part of such a program. The Initiate Global Education Program is an intrisically valuable program that I trust will provide the opportunity for students to develop their sense of social justice and leadership capabilities. It is a bonus that it will also contribute toward the WACE. I strongly endorse the program and its vision, to educate and empower secondary students from diverse backgrounds, engaging in meaningful relationships both locally and globally in addressing social justice issues.